We’ve put everything we know about keeping feet warm, dry and performing well in tough winter conditions into these all-weather road cycling shoes. 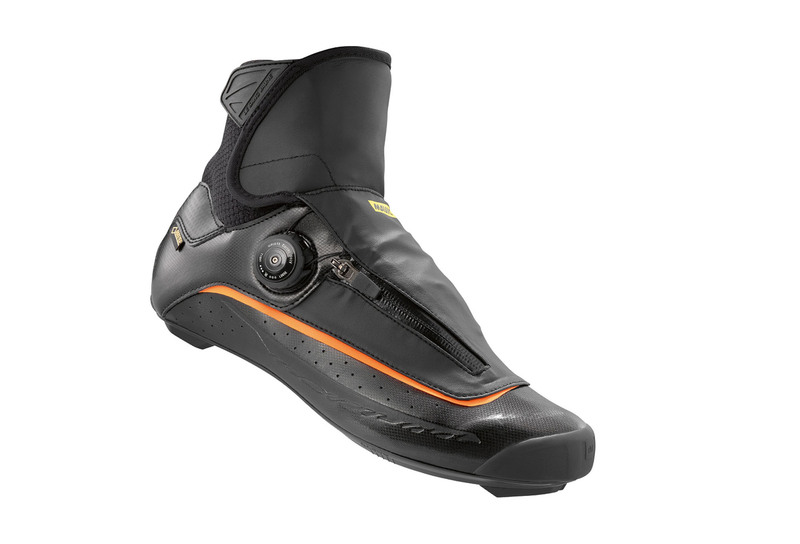 The Goretex® outer, neoprene ankle gusset and water-resistant zip mean no overboots are needed. And the durable outer layer is completed by a reinforced rubber toecap and a series of reflective strips to help you stand out in poor conditions. Hidden beneath this impenetrable outer layer are the high-end components you’d expect from a Mavic shoe: a composite outsole for effective power transfer, Ergo Fit 3D+ Ortholite® inner soles and our Ergo Dial lacing system for accurate adjustment, even when you can’t feel your fingers.